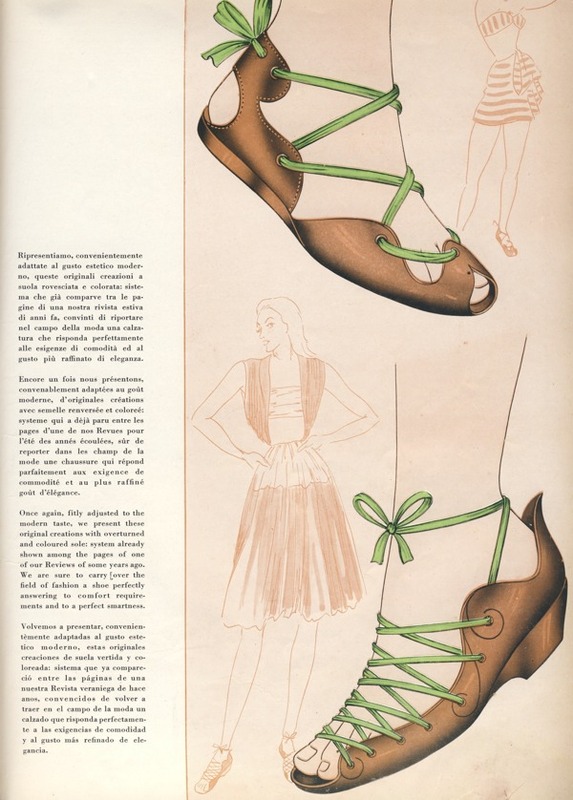 Once again, fitly adjusted to the modern taste, we present these original creations with overturned and coloured sole: system already shown among the pages of one of our Reviews of some years ago. We are sure to carry over the field of fashion a shoe perfectly answering to comfort requirements and to a perfect smartness. Broken English is nothing new at TheHistorialist, we know that, but the translator at URIC magazine was even worse. Spaghetti-English aside, we learned that it was done before 1948, probably as soon the war madness ended. 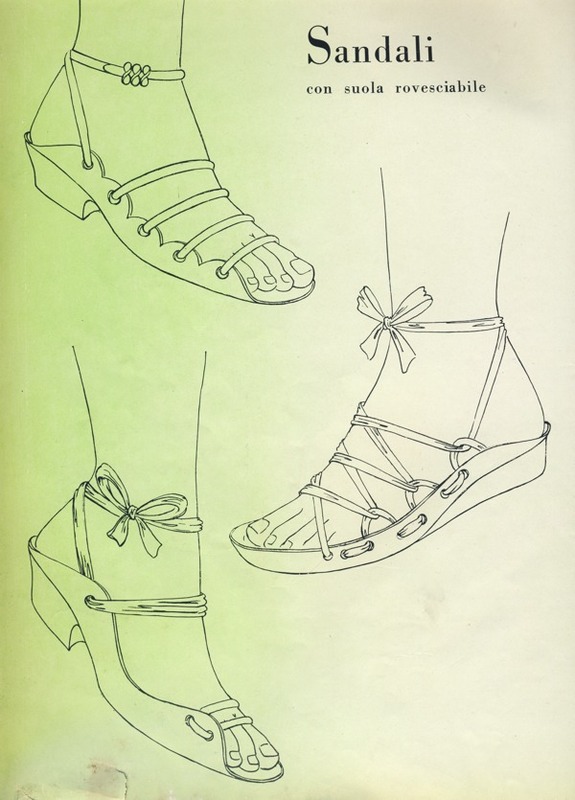 Anyway, as far as we are concerned, the Delman sandal here below might be a copy, a mix between the first model (top left on the drawing) and third (bottom left). After all, Delman used to have a Paris design studio churning out design after design for the American market, not all of them originals. Their (Delman) turn to prove it otherwise. 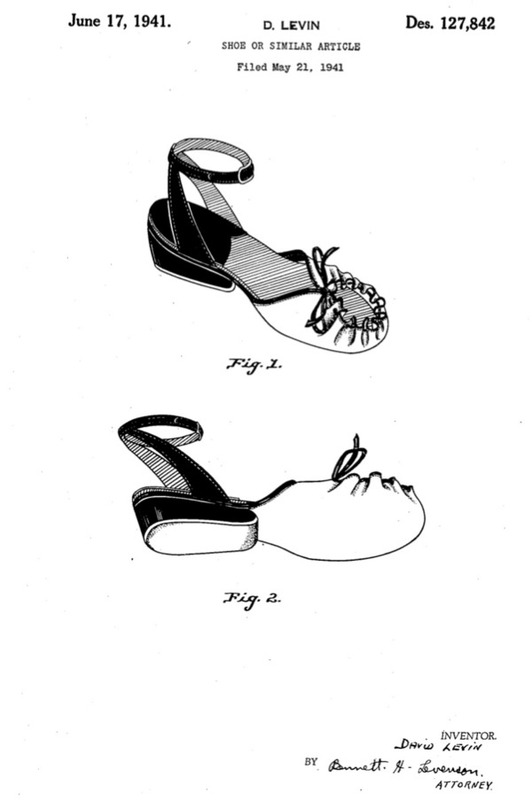 Not to say the designers at URIC magazine were shy to knock off a foreign model, far from it; all the same the ever surprising David Levin came up with the same general idea (overturned sole) back in 1941.